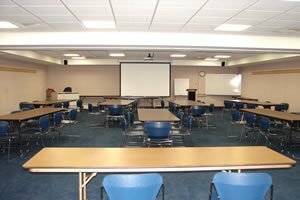 The Lackawanna Room can accommodate twenty-five people. 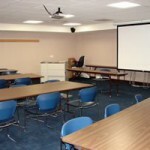 This room is equipped with a built in projector, screen, and audio system. 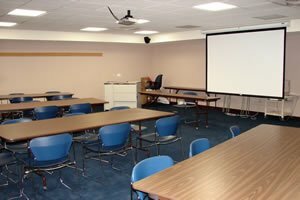 The Susquehanna Room can accommodate twenty-five people. 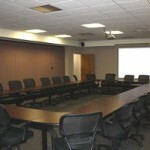 This room adjacent to the Lackawanna Room and the Wayne Room and can be opened to host larger meetings. 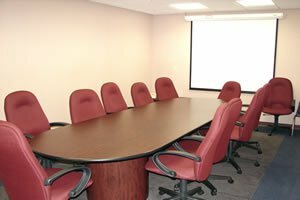 The Wayne Room can accommodate twenty-five people. 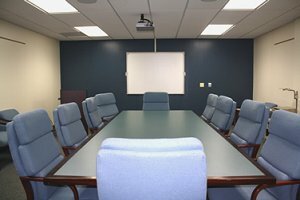 This room is equipped with a built in projector, screen, and audio system. 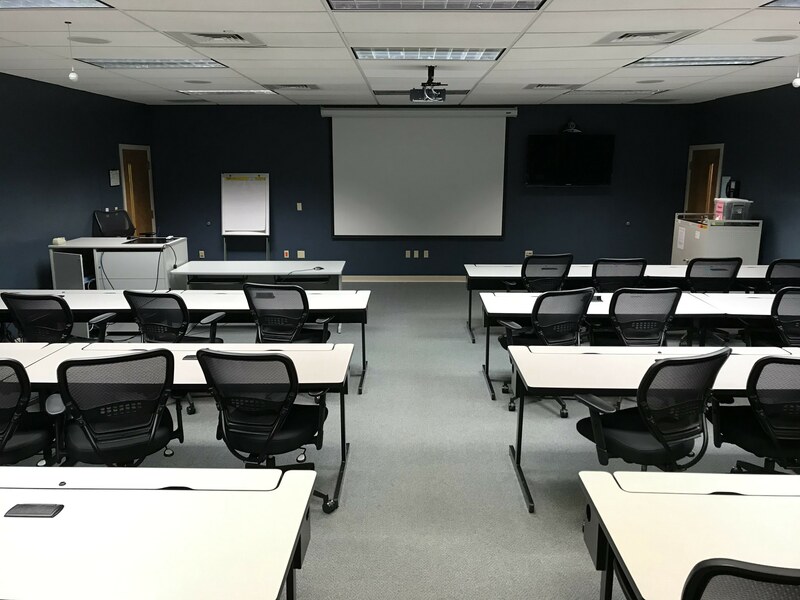 The Paul Bebla Room can accommodate fifteen people. 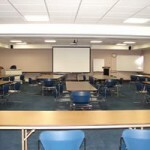 This room is equipped with a built in projector, Promethean Board, and audio system. 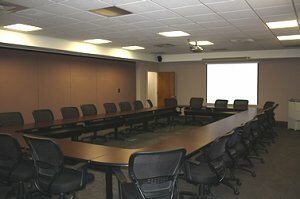 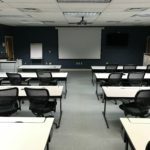 The Peter M. Mensky Room can accommodate twelve people. 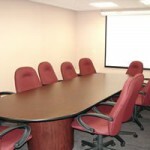 The Distance Learning Center can accommodate twenty-eight people. 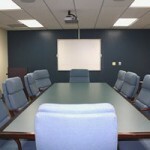 This room is equipped with videoconferencing technologies as well as a built in projector and audio system.